Collected in a single volume for the first time, this classic of comic strip adaptation brings to life all the action and poignancy of Dumas's novel and its sequel (the enthralling mystery surrounding the Man in the Iron Mask). 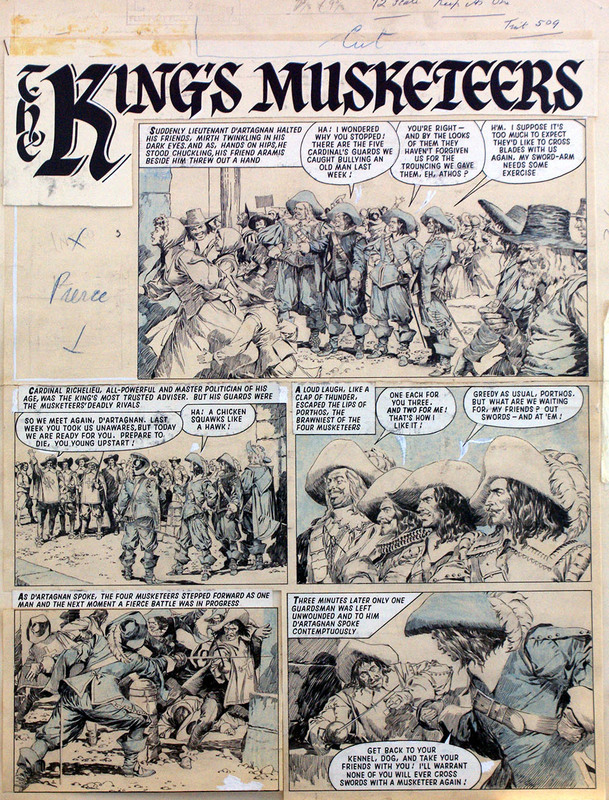 Arturo Del Castillo was one of the greatest masters of Argentinian comic strip. 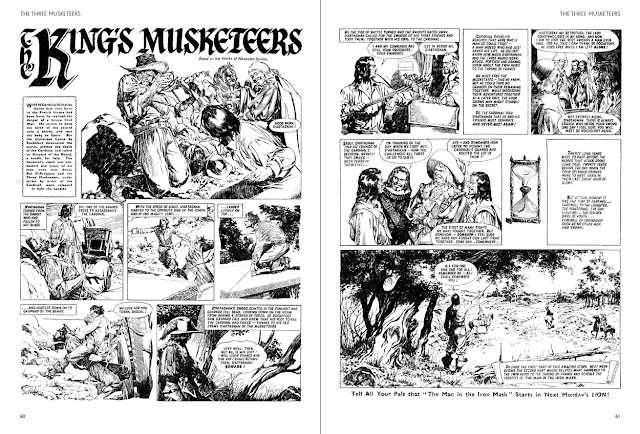 His artistic skill is recognised internationally and his work on The Three Musketeers, The Man in the Iron Mask, and The King's Musketeers (all included here) is regarded as some of the finest pen and ink work ever created for comic strips. 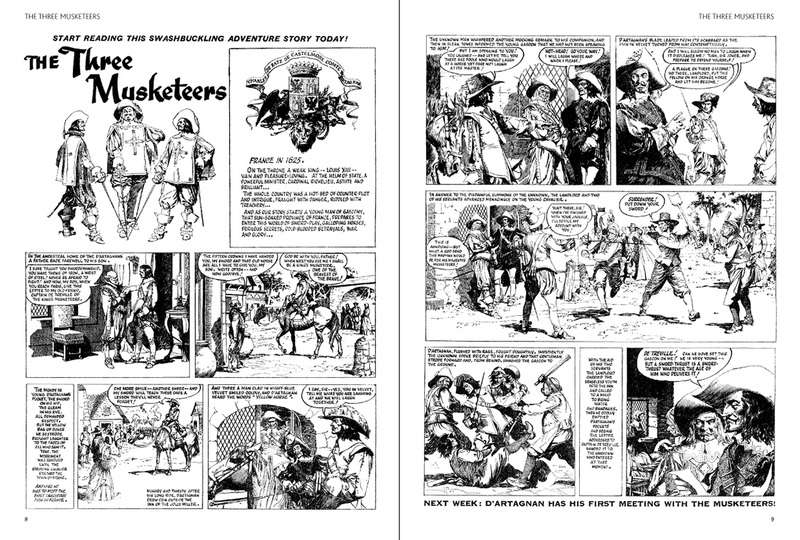 These 3 comic strips originally appeared in the British comics Film Fun and Lion in the early 1960s. This is the first time they have ever been reprinted in this complete form. The quality of his penmanship is simply stunning on these strips. 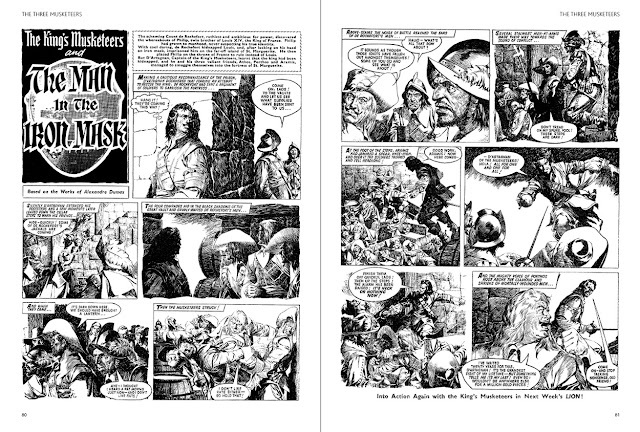 Also included here are 14 pages of rare reproductions of original del Castillo artwork. 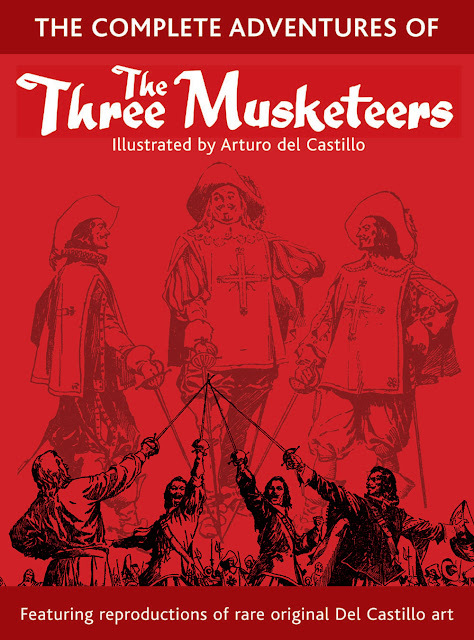 The Three Musketeers are amongst the handful of literary characters who are known to virtually every person on the planet! 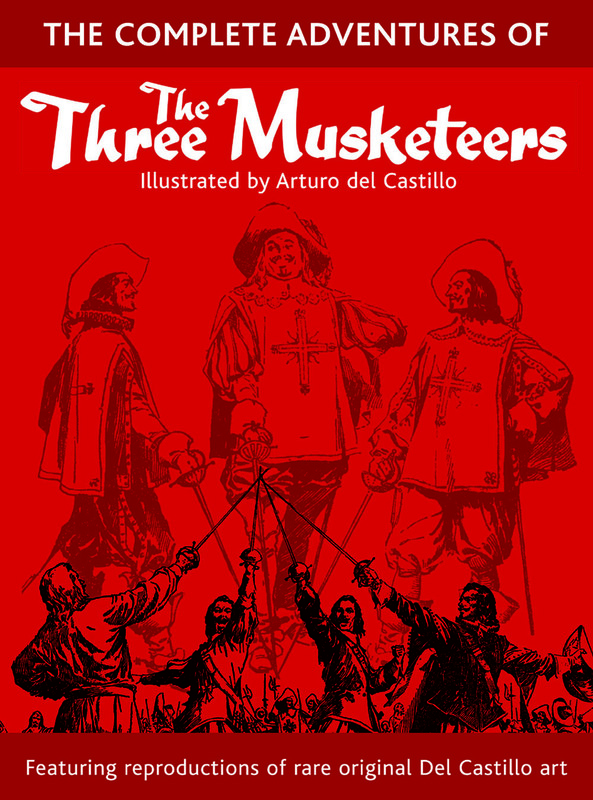 Unlike most literary characters, the Musketeers are fashioned out of history: there really was a d'Artagnan and historical counterparts for each of his companions, although the romance woven around the characters came from author Alexandre Dumas's imagination. I've already ordered my copy, so what are you waiting for?